When we first set foot in Bucharest, we knew very little about what to do in Bucharest in one day, let alone on a longer trip! While we had long wanted to visit Romania, specifics about the charms of its capital city got crowded out of our daydreams about the country, which were typically filled with beautiful mountains, quaint villages, and majestic castles. When we got the opportunity to #ExperienceBucharest for three days in partnership with the Travel Massive affiliated Experience Bucharest team (which is 100% made up of volunteers who are passionate about Bucharest! ), we knew it would be the perfect opportunity to get a taste of Romania in preparation for what will hopefully be a longer return trip one day. Three very busy days later, we were happy to announce that we had a fabulous time in Bucharest. We came not knowing what to expect, but left thrilled to have had a chance to get to know Bucharest’s quirky personality, kind people, tasty food, and fascinating cultural sites. Is it possible to do all of this in Bucharest in one day? Take a walking tour of Bucharest. 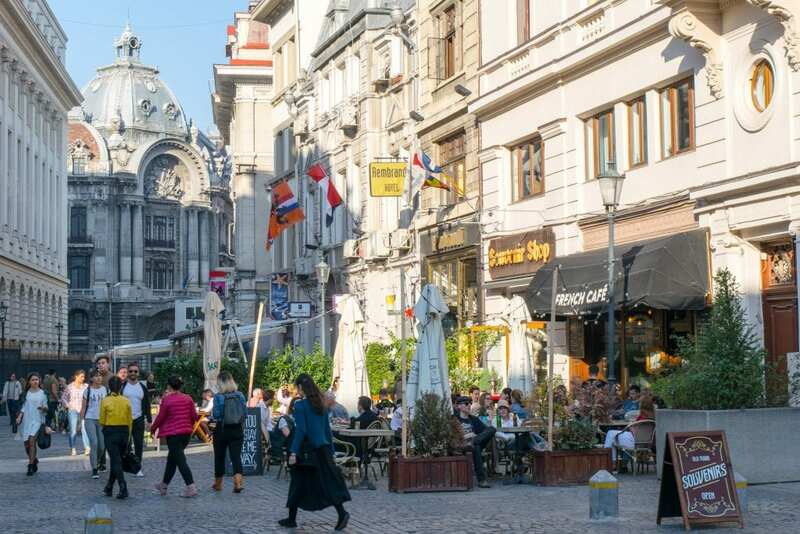 Like most European cities, Bucharest is best introduced via walking tour–there’s nothing like the feeling of getting integrated with a city by walking the streets yourself. 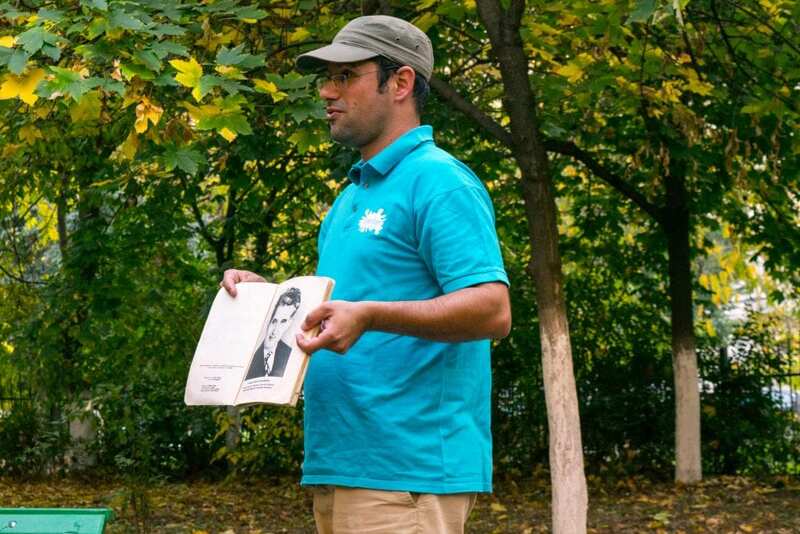 While “basic” walking tours with an overview of Bucharest and its history are available, there are enough themed walking tours available that just about anyone will find one that peaks their interest. From Hidden Budapest to Alternative Budapest, or even to niche topics such as a Roma Heritage Tour, just about any option will leave you with a great walk through Bucharest’s quirky streets and with new knowledge about the city. Personally, we opted for a Communist Tour that explored Bucharest’s (very recent) Communist past: among other sites, we viewed the “House of the People” from the outside as well as its corresponding avenue (built by dictator Nicolae Ceausescu to be larger and more grand than the Champs Elysses), stopped at some of the few remaining Communist-era apartments that have not been redone since the fall of communism, and visited a church that had literally been picked up and moved to clear space for the House of the People during construction. Most interestingly of all, our guide was old enough to remember parts of his own childhood under communist rule and brought artifacts such as an example of the propaganda-style textbook that children studied until the fall of the dictatorship in 1989. Shop Communist Walking Tours of Bucharest! Visit the People’s House of Romania. 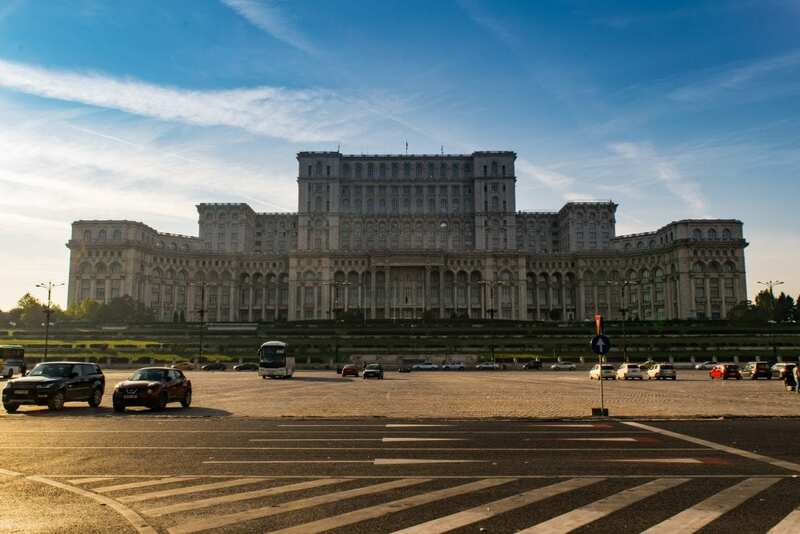 Romania’s communist dictator Nicolae Ceausescu had a vision: redesign the city of Bucharest, and create an entire series of buildings and streets that would show off to the world how successful the Socialist Republic of Romania was. 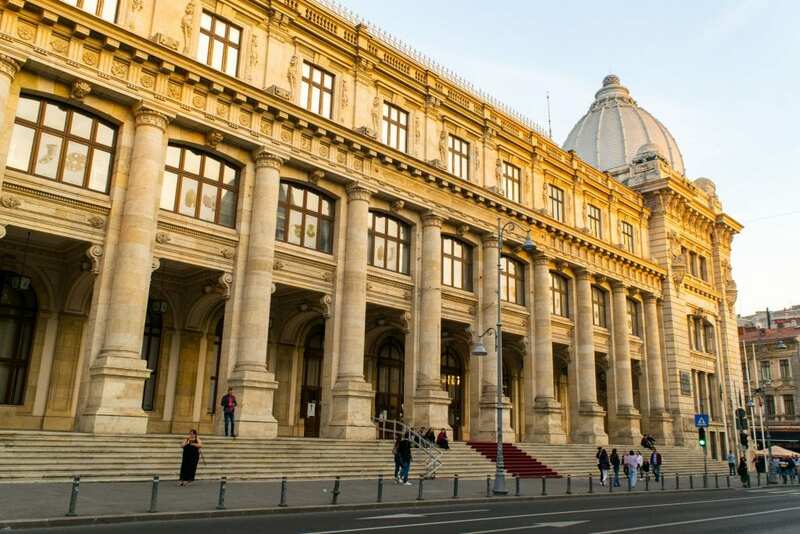 He failed in most respects, but left a somewhat strange legacy all the same: the People’s House of Romania (often called the “People’s House” for short, and now officially named the Palace of the Parliament) is the second largest administrative building in the world–only the US Pentagon is larger. Standing outside the building, the enormity of it presses in on you–it is a gigantic place, and the scale is even more impressive when you learn that the huge building in front of you is just a portion of it–a significant amount of the palace is underground, though the exact figure seems a little fuzzy. The building is, for obvious reasons, quite controversial–Nicolae Ceausescu more or less starved the people of Romania to pay for it, and actually got the idea to make it from Kim Il-sung himself, one of the most infamous of all tyrannical dictators–but it remains one of Romania’s most popular tourist attractions and is currently home to both Romania’s parliament and an art museum. We didn’t get a chance to go inside on this visit, but the photos of the elaborate interior make us want to find room for it on our itinerary next time! Shop Palace of the Parliament Tours in Bucharest! Don’t pack your bags for Bucharest without travel insurance! We use and recommend World Nomads for their affordability, ease of purchasing & the clarity of their contract! Check out Bucharest’s Arc de Triomphe. Once upon a time, we associated the phrase “Arc de Triomphe” with Paris… but that arch is far from the only one! “Triumphal Arches” are actually quite common (though the French phrase is more popular to describe them). So far, we’ve visited the ones in Paris, Vientiane, a few Roman ones scattered around Italy, and now, Bucharest! Like in Paris, Bucharest’s Arc de Triomphe is set in the middle of a traffic circle and is very grand. Typically, the arch is only open for visitors to climb it on one day each year, but we were lucky–the Arch de Triomphe was opened specially for Experience Bucharest participants! While it was a very cool experience to climb up the arch at night, don’t worry too much about it being closed–the view from the top was less impressive than the view of the beautiful arch itself, in our opinion. Our favorite part about climbing it was actually the pretty interior staircase! 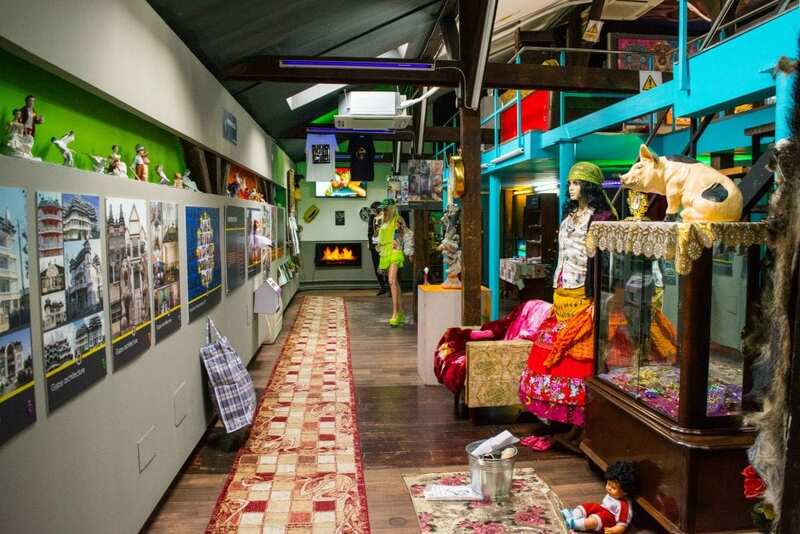 Pay a visit to the Romanian Kitsch Museum. We love checking out strange, small, quirky, and offbeat museums on our travels… and the Romanian Kitsch Museum definitely fit the bill. 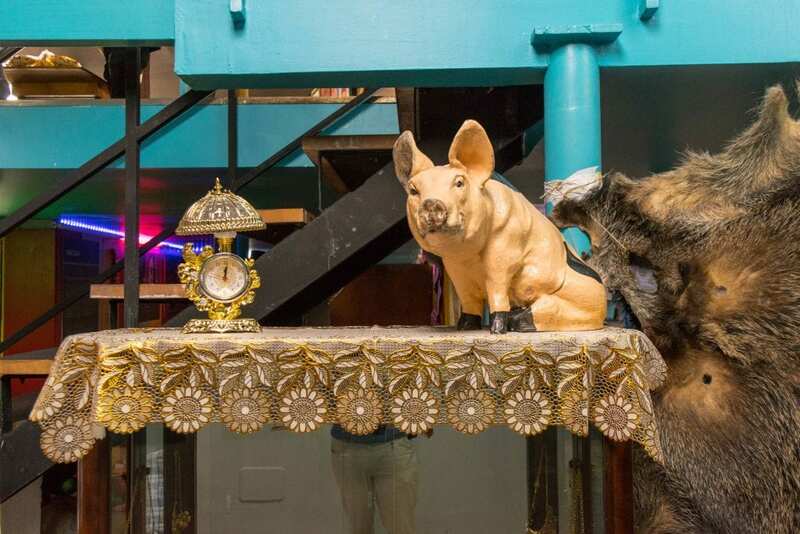 Home to a hodgepodge of eclectic paraphernalia, the Romanian Kitsch Museum has sections dedicated to Dracula, to the Orthodox Church, to the communist way of life in 20th century Romania, to Roma culture, and more. Our visit to the Romanian Kitsch Museum felt in many ways like a fairly lighthearted take on serious aspects of Romanian history and culture, which Cristian said was his goal in creating the museum–some sad topics were covered but they were presented in such a way to make the visitor laugh and then stop to think, rather than moving directly into serious social conversation. It was bizarre, hilarious, endlessly entertaining, and–to be honest–we left still not 100% sure if we “got it”. We did know this, though: we were glad we went, and would definitely go back. 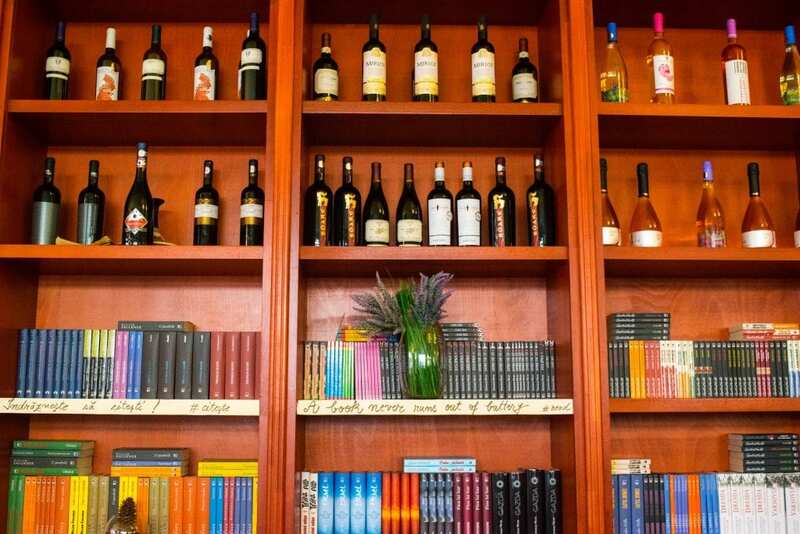 Indulge your inner bookworm at Carturesti Carusel. There’s nothing like finding a beautiful, quirky, and/or interesting bookstore to make our day–and Carturesti Carusel (in English, “Carousel of Light”) definitely qualifies. Located in the heart of Bucharest’s Old Town, Carturesti Carusel is housed in a restored 19th-century building, complete with bright spaces, spiral staircases, and more than 10,000 books. It’s regularly busy, of course, but it’s definitely worth dropping in for a book, to check out the decor, or to simply enjoy a coffee at the cafe on the top floor of the bookstore. Stroll around Bucharest’s Old Town. “This is such a cute Old Town!” I exclaimed when walking to lunch with a group of other bloggers during our stay in Bucharest. Needless to say, I did a double take. But it’s true: while obviously many of the buildings date back hundreds of years, the area that is known today as Bucharest’s Old Town just received its beautiful cobblestone pathways in 2011, and its buildings are still being given updates and facelifts, one by one. The area surrounding Lipscani Street has been given new life in the form of an entertainment district that reminds me of what I always imagined Berlin would feel like–charming, pretty, somewhat regal, but also a bit gritty and quirky. Today, the area is flourishing: bars, restaurants, cafes, and and shops full of Romanian souvenirs burst out in all directions, making it a great place to wander. Taste Romanian food & wine. Sausage. 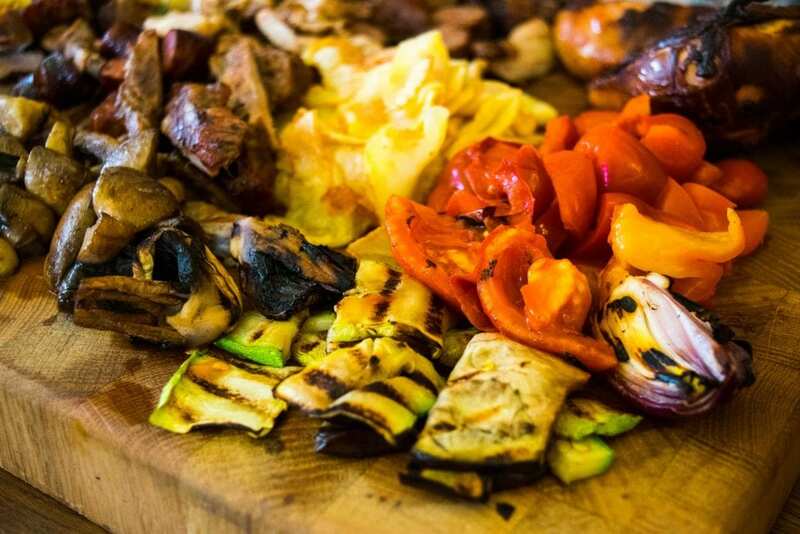 Barbeque. Pork anything. Cheese. Wine. Vegetables. More wine. More meat. Romanians and Texans would get along quite well when it comes to cuisine–though the spices aren’t exactly the same and Texans are inclined to prefer beer to wine, we definitely noticed many similarities–which was good, because Jeremy was desperately craving Texas barbeque by the time we got to Romania! We didn’t have a bad meal in Romania, but some spots that stuck out were Gastronomika, La Mama, Pescarus (still can’t forget their cheese-stuffed sausage), and Tasting Room Gastro Wine Bar. 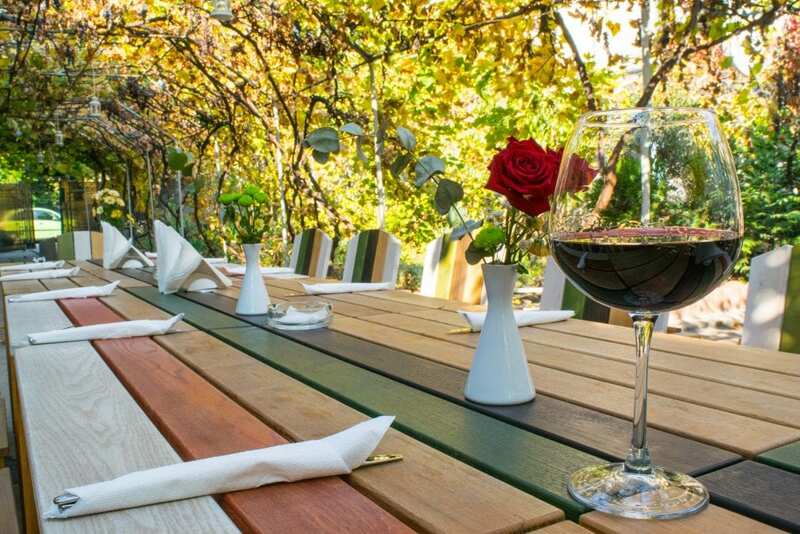 Shop Wine Tasting Tours in Bucharest! 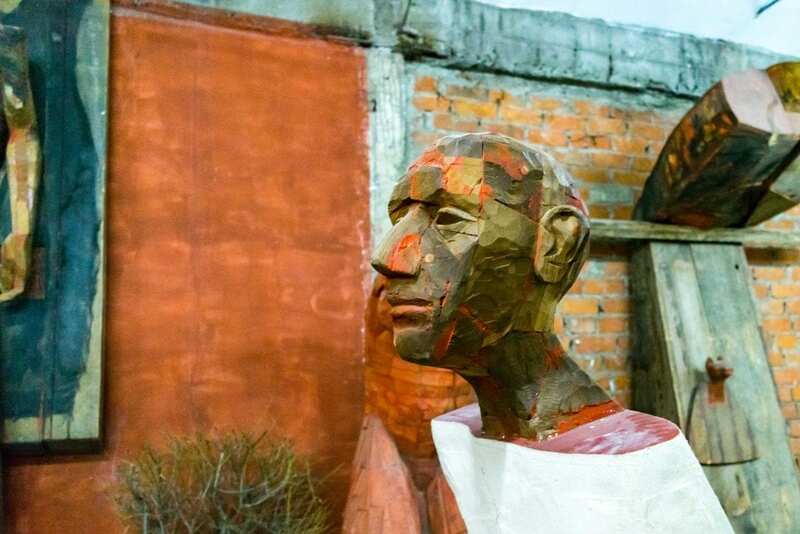 Check out Bucharest’s art scene. Most memorably, during our trip to Bucharest we visited Combinatul, a repurposed industrial area that has been turned into an artist’s hub. We can’ say that all of the art there was exactly our style, though some of it certainly was–but memorable was definitely the world for it! Statues, films, paintings, carvings, large pieces, small ones–it was all there, and we loved having the opportunity to walk around and explore. 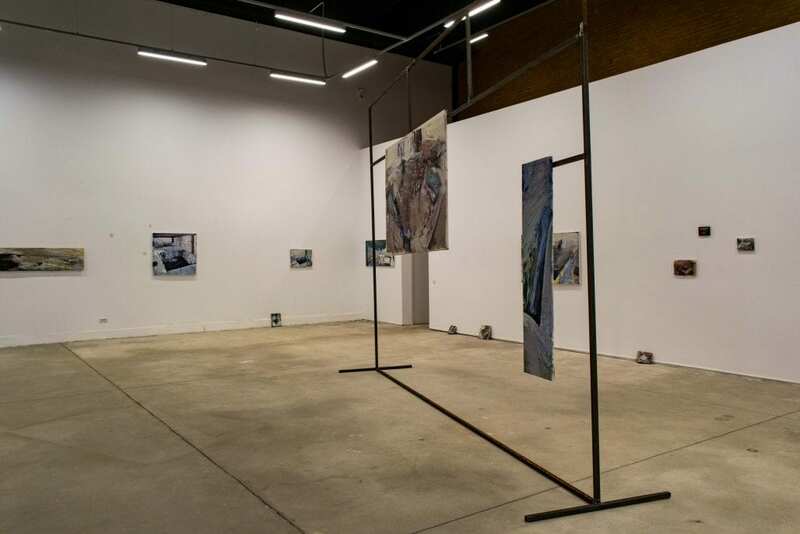 If you’re looking for something art related that’s a bit more offbeat than a traditional gallery, definitely add Combinatul to your list when deciding what to do in Bucharest! If you move fast, and use all the Bucharest travel tips you can get your hands on, it just might be! Many of these spots are located close together–the Romanian Kitsch Museum and Carturesti Carusel are both located within Bucharest’s Old Town, for example, making transitions fairly easy to pull off with a bit of planning. 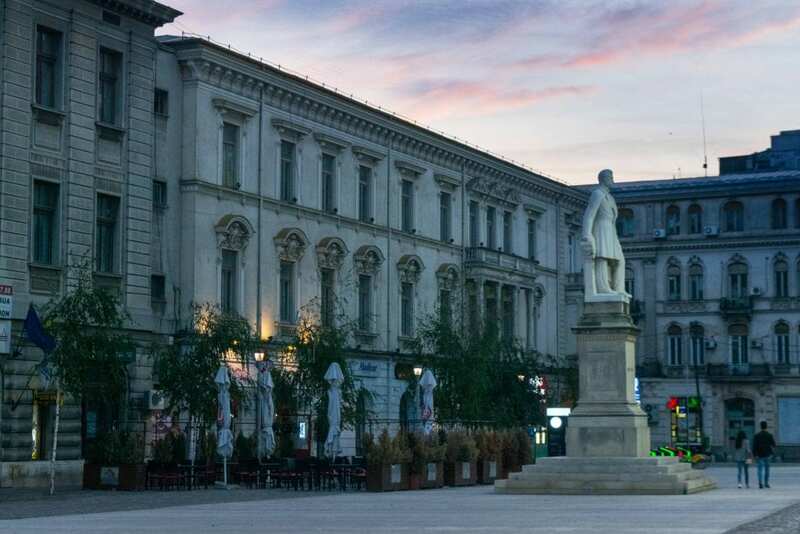 Trips to Romania are commonly started with one day in Bucharest, and I do think all 8 of these interesting and fun things to do in Bucharest can be accomplished in a single (very busy and fast moving) day–but don’t be surprised if you find yourself wanting to extend your trip. 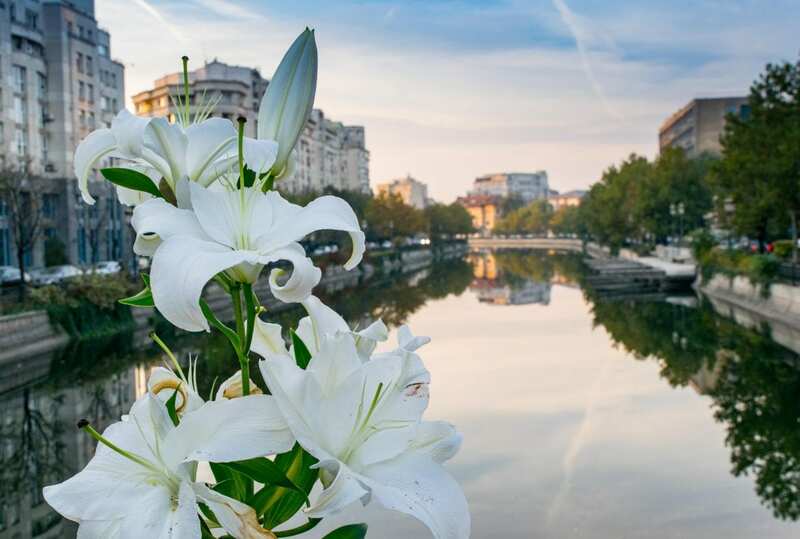 Bucharest has tons to offer and is very inexpensive, and bumping your trip up to include two days in Bucharest or even three days in Bucharest would still leave you with enough exciting and fun things to do in Bucharest that you could keep a packed-full sightseeing schedule if you wished. If you’re coming to Romania to road trip its famous countryside, explore beautiful Romanian castles, or simply passing through the region and wondering what to do in Bucharest and whether it’s worth a stop, definitely make one–the city is eclectic, interesting, and full of unexpected and exciting things to do. Orhideea Residence & Spa — Our apartment at Orhideea Residence & Spa was clean, comfortable, had a great view, a kitchen–and it was giant! Seriously–the living room felt like a football field. Breakfast was tasty and served on the 11th floor, with views that stretched over Bucharest. We would not hesitate to stay again if we head back to Bucharest! The hotel isn’t within walking distance of Old Town, but is a cheap and easy Uber ride away. We definitely recommend sticking with Uber–the one day that we had to take a taxi because the Uber app went down, we were (predictably) overcharged by the driver. Many thanks to the Experience Bucharest team for hosting us in full during our trip to Romania! All opinions are, as always, our own. I’m a complete bookworm so I’d head straight to the place with 10,000 books! I’ve yet to visit Bucharest but I’d like to try next year. I never knew the Arc di Triomphe was also there. The parliament building is impressive, I’d like to take photos too. Bucharest is such a beautiful city and what more, it doesn’t take all of one’s time to explore the city. From the Arc dear Triomphe to the Carturesti Carusel, including the street arts, the city of Bucharest is worth every visit. And a winter tasting tour in Bucharest wouldn’t be a bad idea. Glad you mentioned the restaurants with the ‘off mark,’ I’d better watch out. We definitely enjoyed the wine tasting we did! We did ours at the aptly named Tasting Room. How cool! I don’t really know Bucharest, but I would definitely enjoy a day in the city seeing the sights. Looks like you had a great time photographing the city. We definitely did–there’s tons to photograph in Bucharest! I love the bookstore! 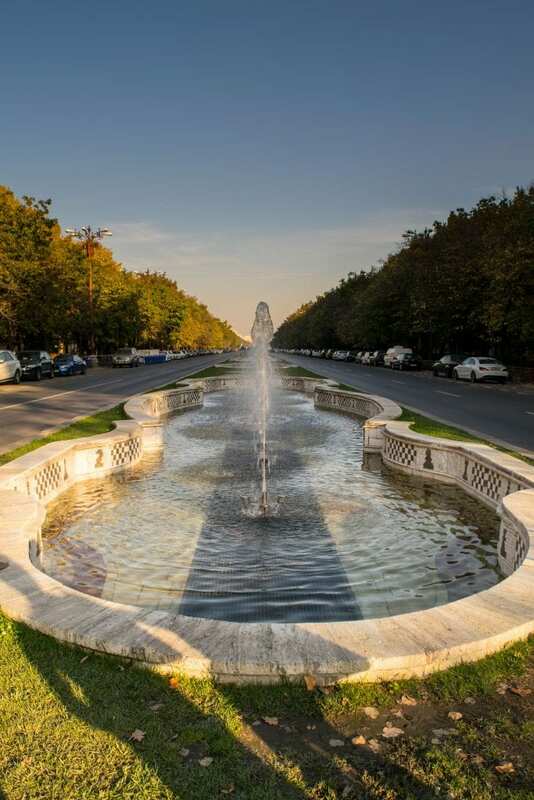 This paired with Bucharest’s art scene would make for a perfect, relaxing day in the town! I’m also jotting down Old Town as a must-see when I’m in town. Great advice! That does sound like an excellent relaxing day, right? 🙂 Maybe end with a tasty dinner and some Romanian wine! Some of the best trips I’ve had were unplanned and without many expectations – seems like your experience in Bucharest was one of those! I had no idea the city was such a hub for art! I’d absolutely love to check out Combinatul and the Kitsch museum. Plus, that bookstore is totally dreamy. I agree–lack of expectations can really make a city come to life! We had a great time, and I definitely recommend all of those. The Kitsch Museum was so much fun! I think it is, Joanna! I can’t remember the exact date, but we spoke with the owner and I believe he opened it a few years ago. Definitely worth a stop if you get a chance to go back! Love your pictures! Never heard of Bucharest before it looks like a photographers dream and very romantic. Love the book store… could spend a few hours in there. Haha, you and me both on the bookstore! Bucharest was definitely a fun city to photograph. I think the museum would be my number 1. It’ll be the fastest way to learn about their cultures. Satisfying my inner book worm would be for just a little time as exploring the attractive surroundings would be paramount to me. Lovely! Bucharest sounds like a cool city. Walking tour would be the best thing to do. It definitely is a very cool place to explore!